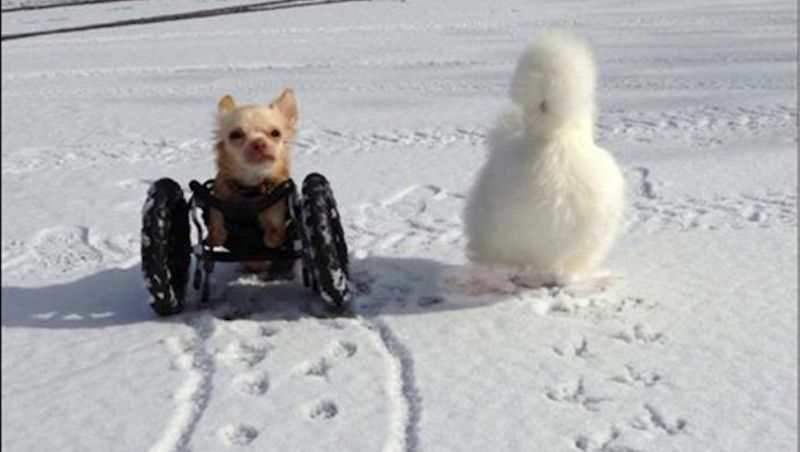 Why did the fluffball chicken cross the road? 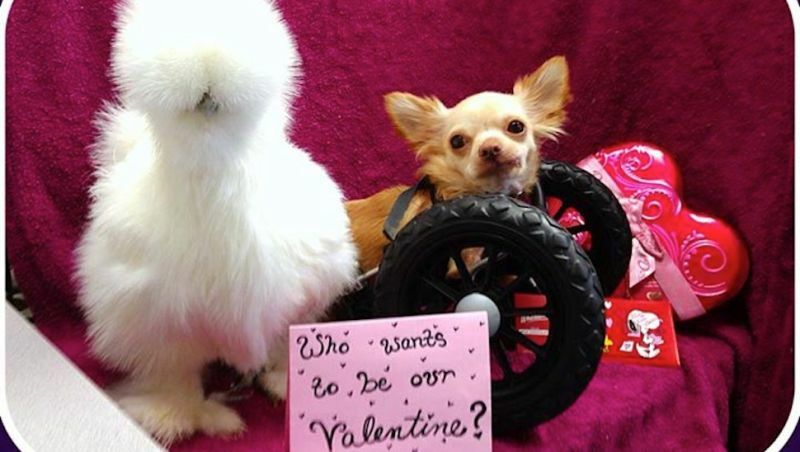 To get to her best friend: a wheelchair-bound, two-legged Chihuahua named Roo. 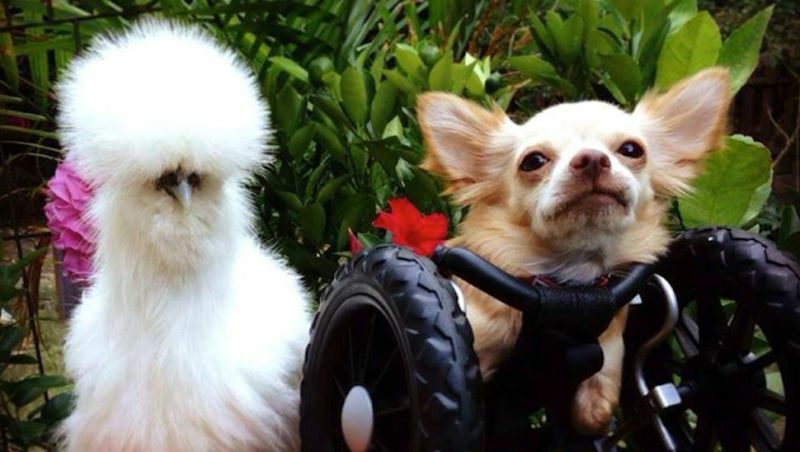 The two animals have been vying for cutest friendship of all time since they met last year: They were both rescued by Duluth Animal Hospital receptionist Alicia Williams, who usually brings them into work at the Georgia facility with her. "Clients will schedule their appointments around the animals' schedules, especially Penny's (the chicken)," Williams told the Gwinnett Daily Post. "She's always here on Saturdays." 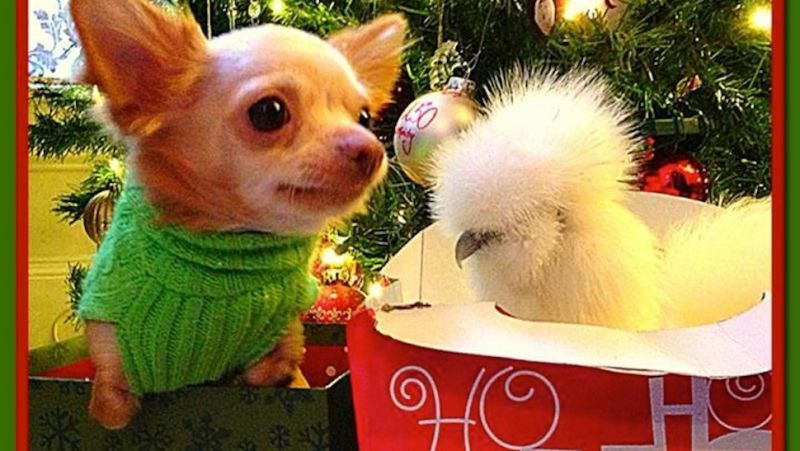 First she adopted Penny, the silky chicken, after saving her from a life of medical testing. 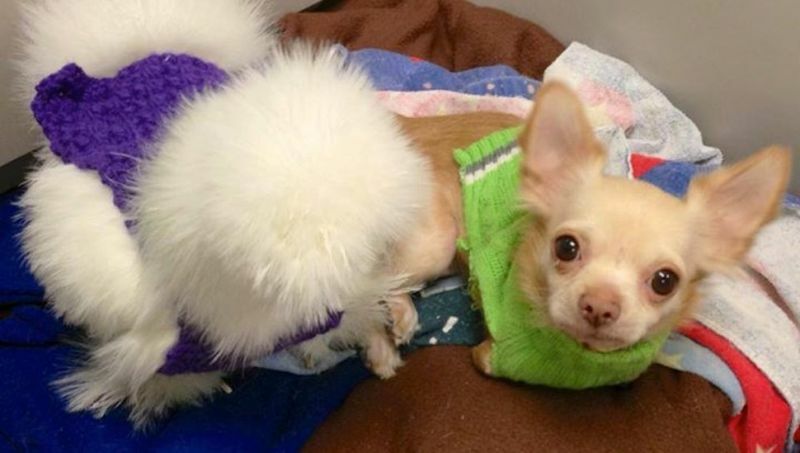 Roo, the chihuahua, was rescued from a ditch where his owner had dumped him. But together, the two animals have flourished. "They get along really well," Williams said. "Penny gets excited when Roo is around because she knows he's got treats and food all of the time. Whenever she hears him being fed, she steals his food. He loves snuggling with her because that's his big teddy bear. 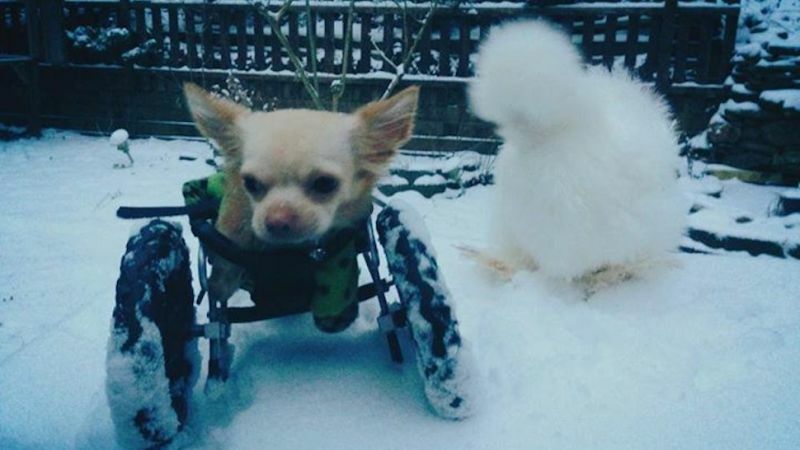 He runs over her sometimes because he doesn't realize how big his wheels are."